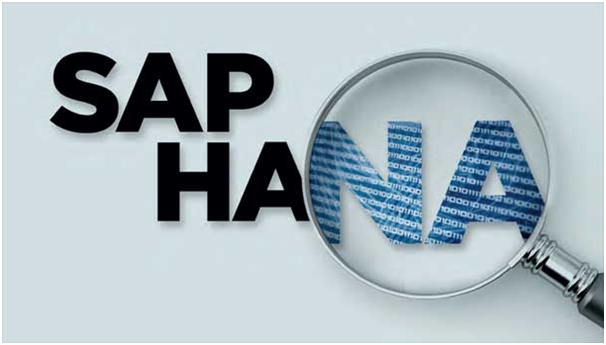 In the contemporary scene, SAP as a company has placed so many stakes on HANA (its in-memory database) that in case HANA proves to be unsuccessful, SAP will die. This is the belief of Stephen Brobst, CTO related with Teradata, the giant data analytics firm. With database kings Microsoft, Oracle, and IBM fighting furiously to push in their own offerings, and SAP outlining its recent strategies around the same, in-memory computing (IMC) serves as one of the popular and most talked-about innovative technologies dominating the past few years. Along with shifting away from the conventional norms of generalized electromagnetic disks, IMC manages to store application data in the main DRAM of a computer without any compromises on its consistency, availability, and integrity. This in turn allows the developing and implementing of applications that operate advanced queries or succeed in performing complex transactions on extremely large sized dataset, at a faster rate than in the case of using conventional architectures. Itâ€™s natural that IBM, Oracle, and Microsoft have encouraged the integration of in-memory technology as progressive extensions to the existing database products by hybrid architectures. On the other hand, SAP, which is comparatively new to this field, has managed to champion an â€˜all or nothingâ€™ architecture. In an interview to Information Age, Brobst said, "Ultimately, where HANA goes is underneath ERP(Enterprise Resource Planning), because SAP must kick Oracle out of bed." "[Oracle CEO] Larry Ellison is very clear that he wants to kill SAP â€“ thereâ€™s no ambiguity there. "He added, "So basically SAP is in bed with the guy that has a knife in his hand and is waiting for them to close their eyes so he can kill them." As per Brobstâ€™s own preference, he would rather negotiate a deal with arch rival IBM to operate SAP applications on the DB2 database of Big Blue, as a common enemy should make good friends. He further mentioned, "Theyâ€™ve got to kick the guy out of bed, so theyâ€™ve got no choice but to get a database technology to replace Oracle on every single SAP site." "But the idea is maybe those conversations took place and they couldnâ€™t agree â€“ who knows why." He said, "In the end, SAP decided to acquire technology from Sybase, acquire some technology from a pseudo-startup company in South Korea, take some university research in Germany, and that became HANA." Brobst also mentioned that â€œthe whole big data thingâ€ is just marketing distraction to the real goal of kicking Oracle out of bed." "I think itâ€™s a completely rational strategy in their position. And thatâ€™s a life-or-death proposition for SAP (Systems Applications and Products). If they are not successful with HANA, SAP dies â€“ because Oracle will kill them. Oracle is very clear on that goal, and Larry Ellison, whether you like him or not, is very good at what he does." Brobstâ€™s comments had come in just before the launching of Teradata Database 15-- Teradataâ€™s analytical database-- which is aimed towards helping businesses monetize the Internet of Things. Last but certainly not the least; he mentioned that while there are certain use cases where the application of HANA makes sense, it was surely irrational to implement 100 percent in-memory for the analytics of big-data.